When fashion cities deck their halls, Holiday spirit is had by all! 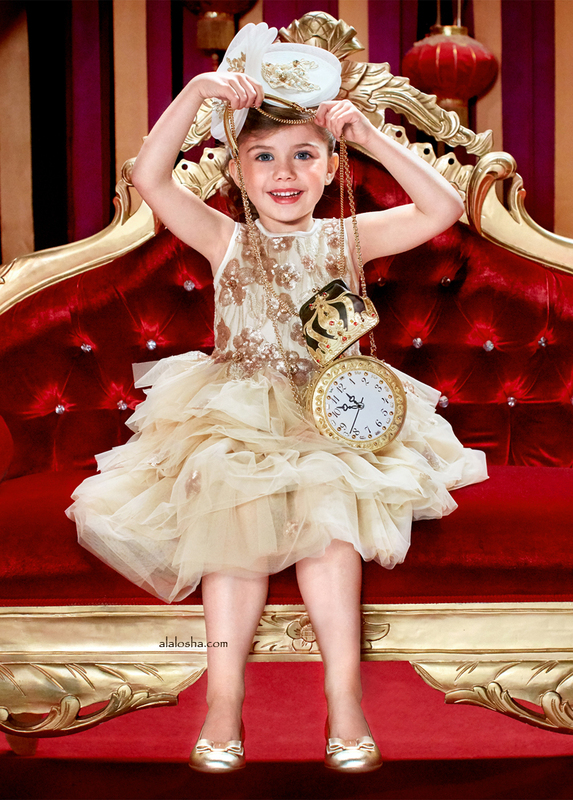 ALALOSHA takes a trip around to world and unearth the best Christmas outfits for girls. 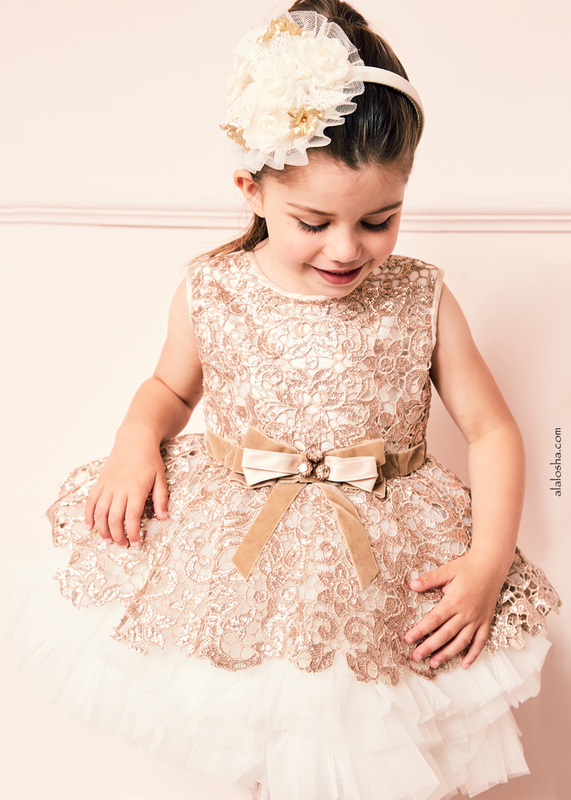 Gold tulle and sequin dress by Lesy Luxury. This exquisite design has a fitted bodice with a gold sequin floral design, decorated with jewels. It has a full skirt, made with multiple short layers of fine tulle, with the top layer being embroidered with gold sequins. There is a long tulle train at the back, lined in satin, plus a stiff tulle petticoat that creates a full shape. The bodice fastens at the back with a concealed zip. Stunning gold and ivory dress by Lesy Luxury. The silky, ivory bodice is overlaid in a golden, guipure lace, which is covered in sparkling, goldsequins, and extends to form a peplum. Around the waist is a beige, velvet waistband with a bow embellished with large diamanté. The skirt is made up of many layers of soft ivory tulle, giving a wonderfully full shape. Perfect for any special occasion, it would look fabulous with a gold headband and gold sequinned or patent shoes. Girls white fur cape by Lesy Luxury. Made with real fur, this luxurious cape is decorated with two diamanté floral decorations. It fastens with hook and eyes and is lined in silky satin.